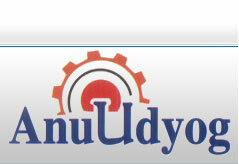 Anu Udyog :- Manufacturer, Supplier & Exporter of Solid Waste Incinerator Manufacturers, Hazardous Waste Incinerators, Industrial Waste Incinerator, General Incinerator, Waste Incinerator Manufacturer In Ahmedabad, Gujarat, India. We are Leading Manufacturer & Exporter of Solid Waste Incinerator Systems is definitely designed in order to work on the orderly air principle of the fire. These are ideal for placing solid waste produced from Automobile, Textile, Hospitals, Pharmaceutical, Chemicals, Petrochemicals, Slaughter house, Laboratories and Municipals. ANU UDYOG incinerators are used to solve the problem of Hazardous toxic waste generated in Hospitals, chemical process, pesticides, Insecticides, dyes and bulk intermediate manufacturing process. The Stamped waste disposer is a consistent application that will offer your household many years of care free use. We work keenly for a safe and healthy working environment. Piping hot waste in incinerators only cuts the size of solid waste. it does not place of the deadly matters checked in the waste.Liquid waste can be clear as such liquids as wastewater, fats, oils or grease (FOG), used oil, and unsafe household liquids. We are Manufacturer, Supplier & Exporter of Incinerator, Waste Disposal Machines, Environment Machinery, Incinerators For Solid Wastes, Hazardous Waste, Indian Incinerator Exporter, Liquid Waste, Liquid Waste Manufacturer, Liquid Incinerator, Pollution Control, Waste, Incinerator Manufacturer, Waste Management, Bio-Medical Waste, Blackhole, Controlled Air, Garbage, Hazardous, Incineration, Anu Udyog, Ahmedabad Incinerator Manufactuere, Pollution Control Machines, Burners, Tanks, Vessals, Heat Exchanger, Seprators.